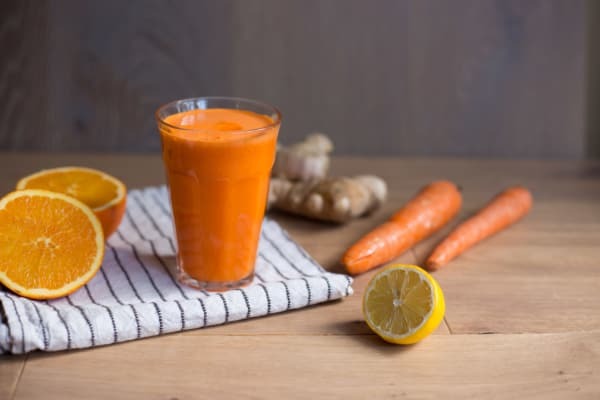 Packed with vitamin C, vitamin K, beta-carotene and fiber, carrots and oranges are nutritional powerhouses and a classic juice combination. Not as sweet as straight orange juice, the Whole 30-approved mixture is warmed by the addition of spicy, gut-friendly ginger and zingy lemon. Plus, thanks to ginger's anti-inflammatory and digestive aiding-properties, it's the perfect way to kick-start your day on the right foot. Using a high-speed juicer ensures that you get the most nutritional value from the fruits and vegetables and the smoothest juice. If you'd like to up the nutritional value even more, add a teaspoon of turmeric and 1/2 cup fresh pineapple for an anti-inflammatory boost, or a handful of kale or spinach to get some greens. 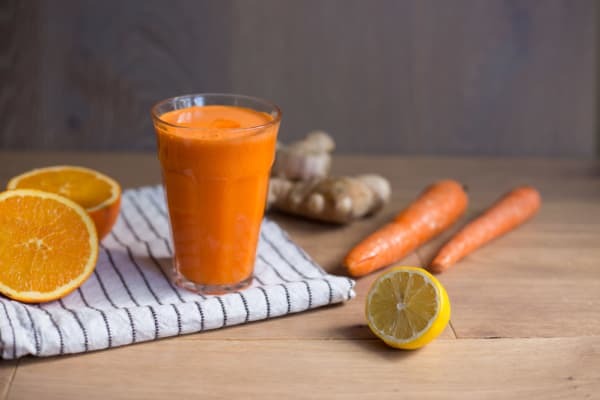 Nix the ginger for an entry-level juice recipe that adults and kids alike will love. Per Serving: 122 calories; 1g fat; 30.0g carbohydrates; 2g protein; 0mg cholesterol; 82mg sodium. Can't believe how thirst-quenching carrot juice is! I made a big jug of it and can't wait to taste it when I wake up each morning. The ginger gives lends a hint of spice and the orange works really well to round out the flavor. I've also tried it with apples and loved that too. 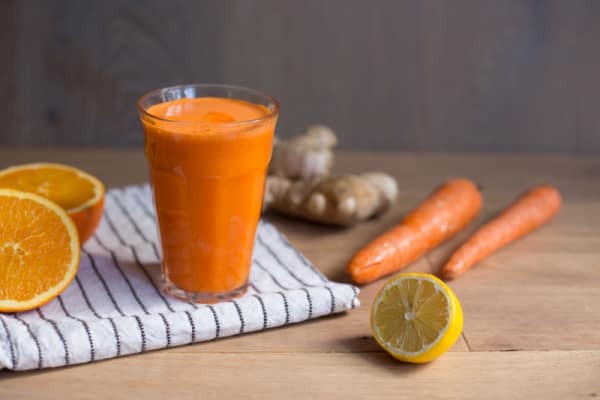 This carrot orange juice is so refreshing! I only add the ginger root when I need a pick me up. This will definitely make you feel better!